- Ceramic plates for smooth gliding and shiny hair: Ceramic is microscopically smooth and durable by nature, and is therefore one of the best materials for straightening plates. 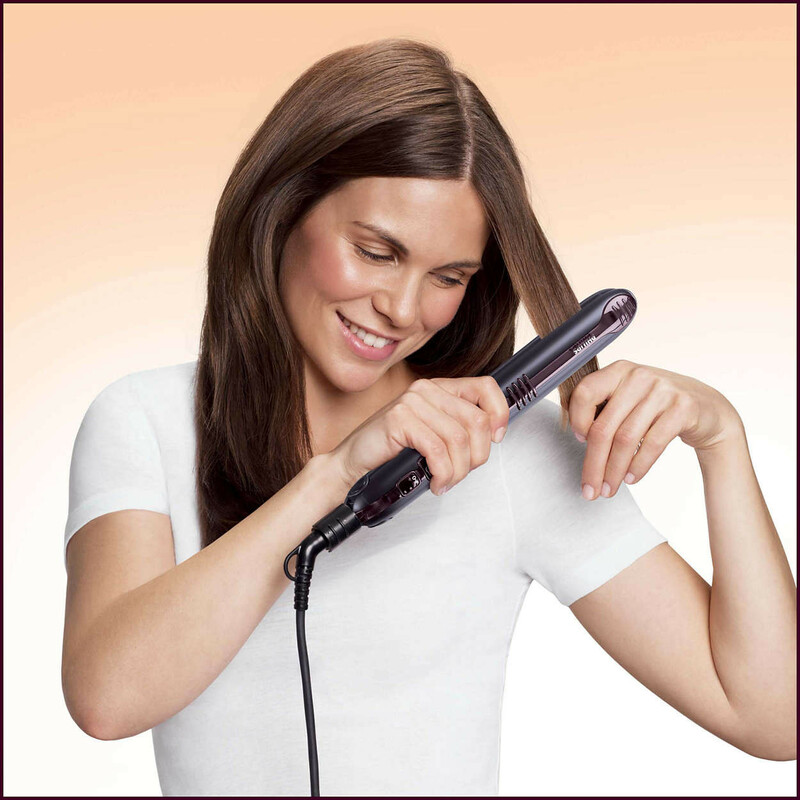 The plates glide effortlessly through your hair, giving you perfect shiny hair. 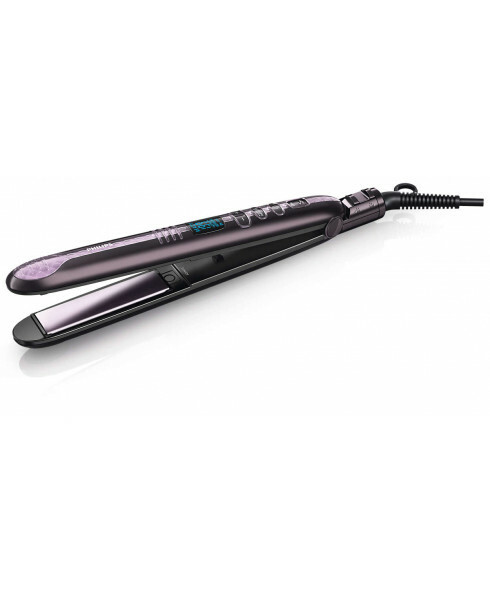 - Caring and efficient straightening with constant temperature: This straightener maintains a more constant temperature. Thanks to its high-performance heater it allows you to straighten your hair at a kinder temperature while getting the exact style you want! - Healthy hair without hotspots with Even Heat Distribution: Advanced Philips EHD+ technology means that your styler will always distribute the heat very evenly - even at high temperatures, and prevents damaging hot spots. This gives added protection and thus helps to keep your hair healthy and shiny. 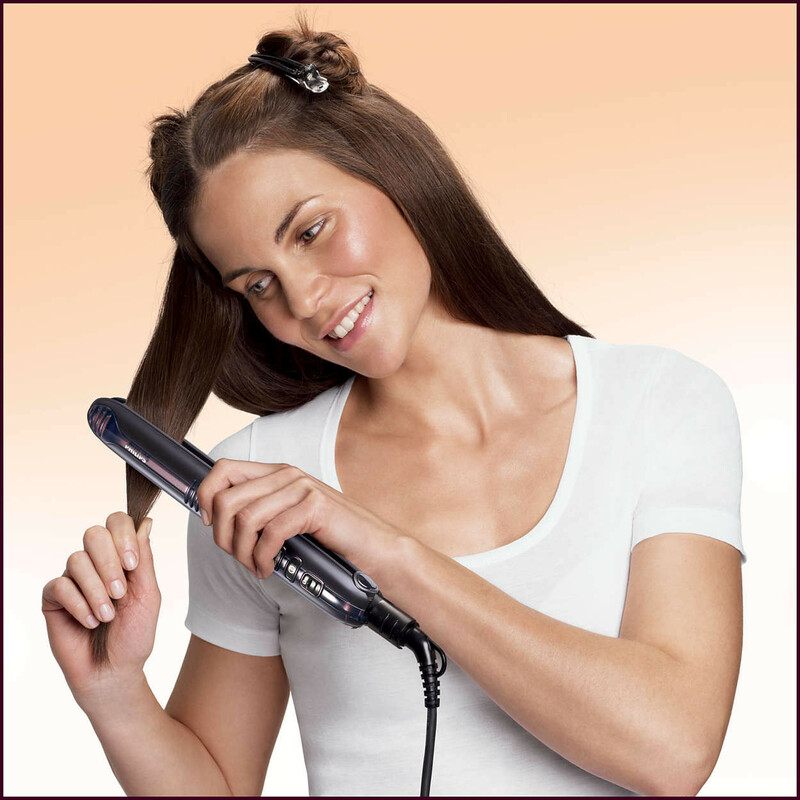 - Closing lock to close the handle for easy and safe storage: The straightener has a closing lock mechanism. Located at the base of the straightener, the lock holds the plates together, making storage quick and easy while protecting the straightener from accidental damage. - No more accidental change of settings with key-lock function:You are always in control. No more accidental switching on/off of the styler or temperature change with the Key-lock function. To unlock, press the button for three seconds. - Automatic shut-off after 60 min: Some hair straighteners and curling irons have been equipped with an automatic shut-off feature. This feature has been designed to provide peace of mind. If left on, the appliance will automatically switch off after 60 min.